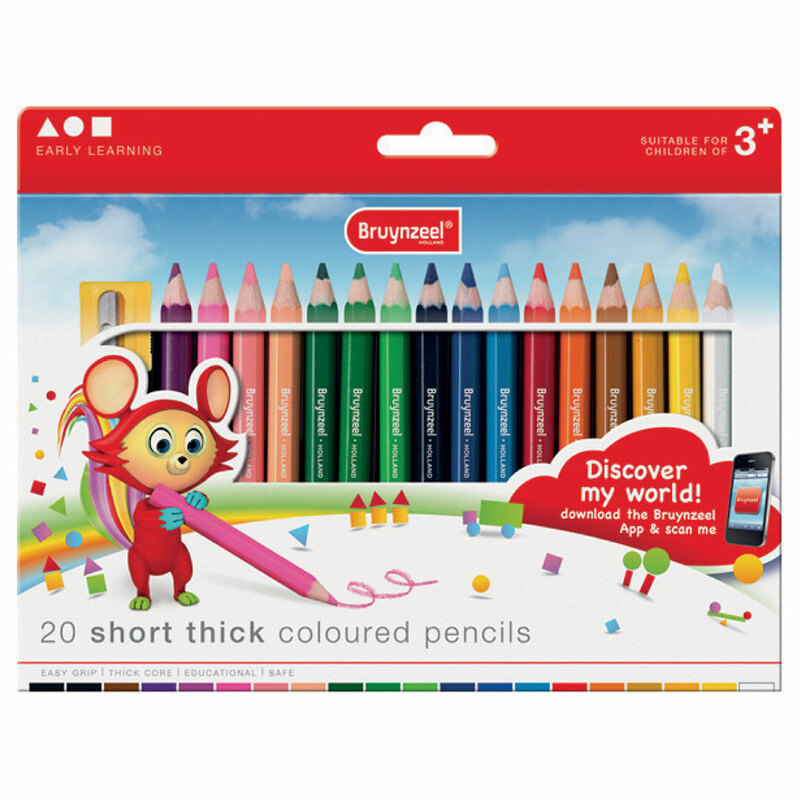 This set of 20 Bruynzeel coloured pencils are extra thick and short and come with a free sharpener. 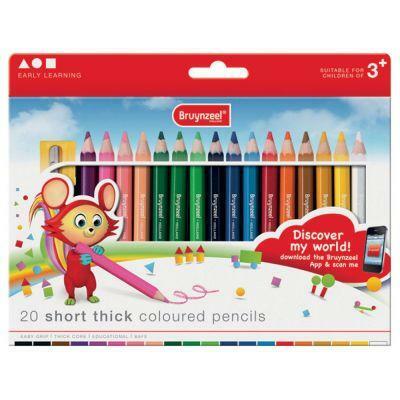 They are specially designed for small children's hands and stimulate motor skills from a young age. Their thick core also means that they are very robust. Have fun colouring!